As a company, Apple generally loves to shout and make a lot of noise about the majority of things that it does. New product launches and software announcements are generally wrapped in dedicated events with the aim of driving interest and raising excitement levels prior to them actually becoming available. With that said, there’s also times that the Cupertino-based company simply goes about its business quietly, making necessary changes behind the scenes, such as providing additional options to iCloud users by adding a new 2TB iCloud storage tier to the existing cloud storage plans. The creation of the new storage tier for iCloud users now means that Apple offers a very simple to understand set of plans for iCloud storage, starting at just $0.99 per month for 50GB of additional storage. The latest addition to those plans, which offers a huge 2TB of additional cloud storage, will set consumers back a very reasonable $19.99 per month. 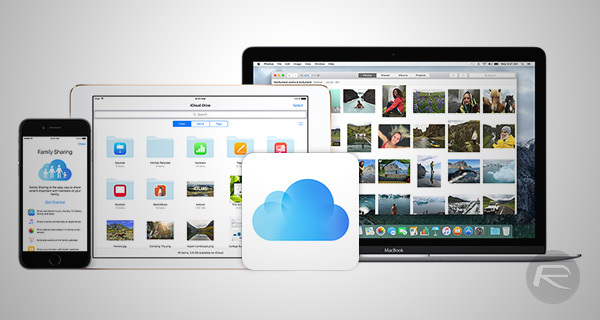 iPhone, iPad and Mac owners who require additional iCloud storage can now opt for an additional 50GB, 200GB, 1TB, or of course, the new kid on the block, 2TB. What’s interesting is that Apple has quietly added the new storage tier without making a song and dance about it. It also comes just a week before the company’s now-official September 7 event that will likely contain a slew of announcements relating to new hardware and software. During that event, Apple is expected to announce the iPhone 7 range, which will likely offer a 5.5-inch iPhone 7 Plus device with an innovative dual-lens camera system in place. Part of Apple’s decision to increase iCloud storage and offer this new plan could stem from the fact that the new iPhone 7 Plus will capture photographs that are a lot larger in size. With that in mind, users will likely need more space in the cloud to store photos and files. It could also be the introduction of the new desktop syncing feature coming to macOS Sierra 10.12 that has prompted Apple to introduce higher iCloud storage tiers. With the release of macOS, all files and documents stored on the desktop or within the Documents folder will be automatically uploaded and stored in iCloud so that they are accessible from other Macs or iOS devices. That in itself will instantly and dramatically increase the ambient of storage that Mac owners are using. You can check out the complete list of pricing for all 4 tiers in supported countries from the image below. Paul, you might want to use a program like SnagIt that allows the ability to screenshot while scrolling.